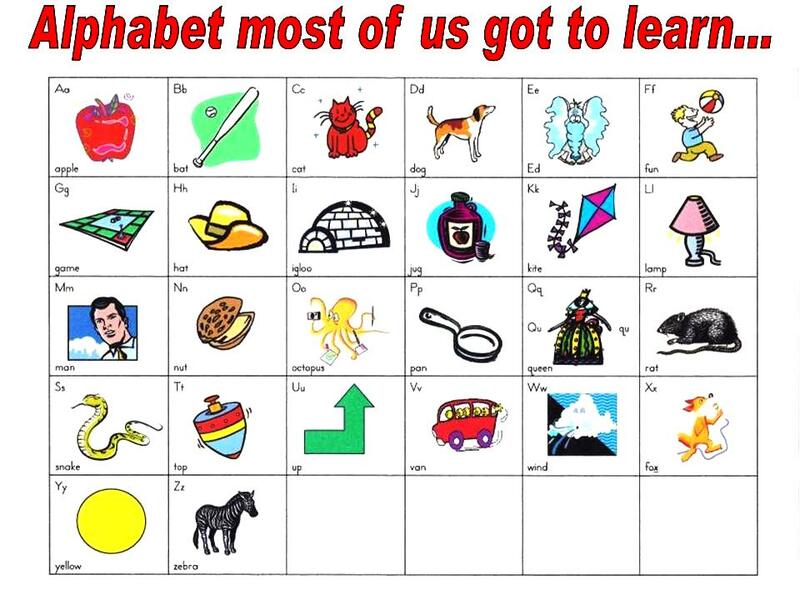 Looking at the two alphabet charts, you’d be quickly be aware of which generation you grew up in. 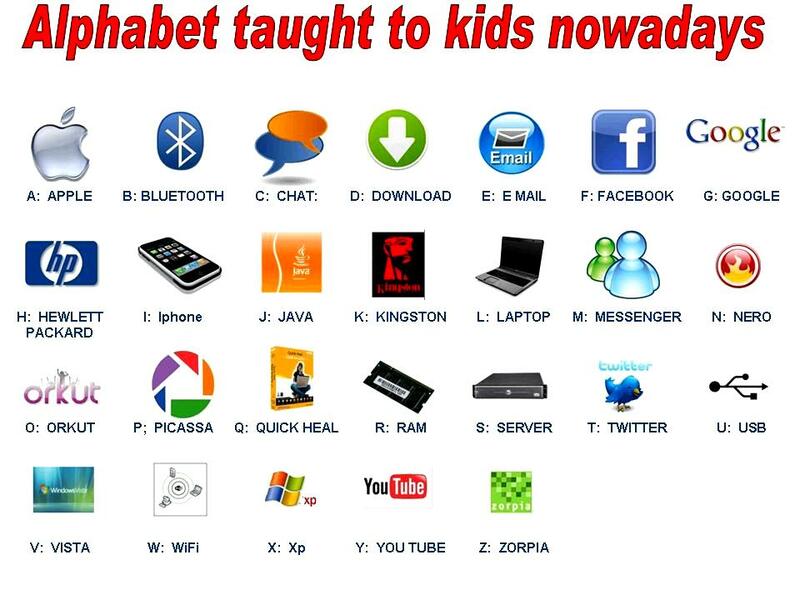 Whatever is the case, at least ‘A’ is still ‘APPLE’ . . .
. . . so what will be next ? This entry was posted in Picture of the week and tagged 21st Century, Creativity, Education, general knowledge, Learning, publishing, Technology. Bookmark the permalink.